Pussycat London Black flower print stretchy jersey maxi dress. 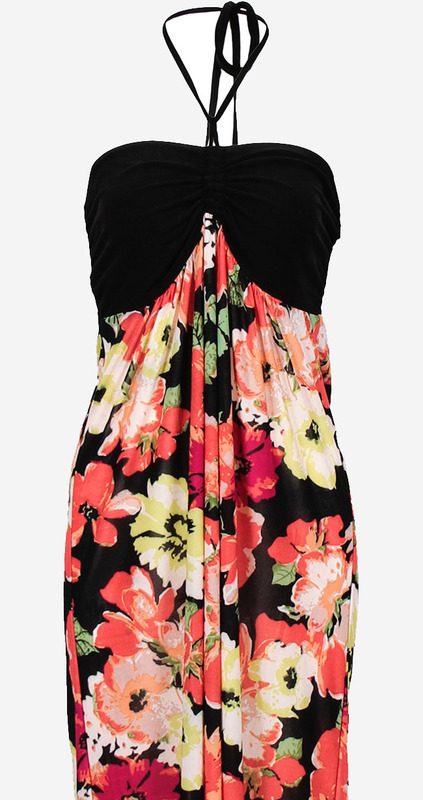 It features halter neckline and gathered bust. An elasticated back ensures a comfortable fit.